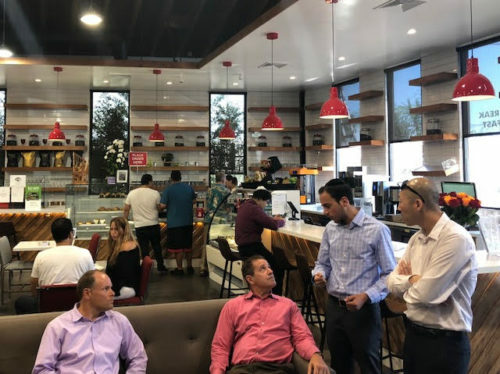 A Jewish immigrant entrepreneur recently opened a magnificent café’ in Los Angeles’s Boyle Heights neighborhood, currently mostly Hispanic but an area that served as the center of the Los Angeles Jewish community in the 1940’s and 50’s. 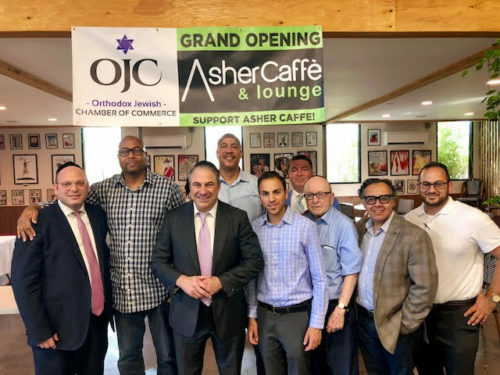 Duvi Honig, Founder and Director of the Wall Street based Orthodox Jewish Chamber of Commerce, came to the Asher Cafe on August 8th to highlight the business opportunities created by bringing diverse communities together. The Orthodox Jewish Chamber of Commerce took the initiative and tapped into its powerful network to rally in support of this entrepreneur, who so perfectly embodies the American Dream. The message of support reached far and wide. A ribbon cutting ceremony – celebrating this great business and its employees – was scheduled for Wednesday, August, 8th. Indeed, the ribbon cutting ceremony was an event to behold. Diverse business leaders and hardworking fathers and mothers celebrated diversity, cooperation and success. At the ceremony, Duvi Honig along with several prominent Los Angeles area members of the Orthodox Jewish Chamber of Commerce Executive Committee – Stanley Treitel, Dr. Irving Lebovics, Anthony Gordon and Estie Rand – hosted a VIP business networking roundtable to discuss economic development initiatives. 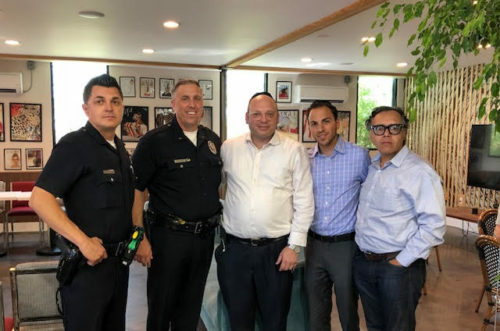 They were joined by a diverse array of business and community leaders, including Daniel Masjedi of the Beverly Hills Synagogue; Bobby Spiegel of the Corona Chamber of Commerce; and Adam Smith and Paul Johnson, marketing gurus for prominent NBA players. 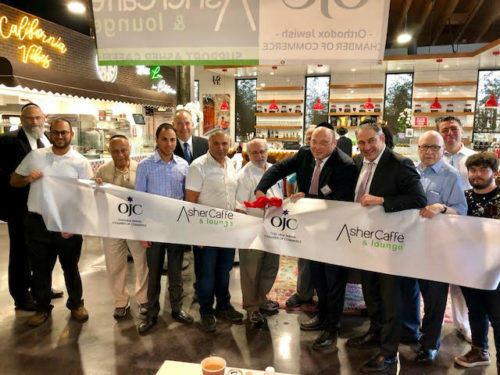 A large “ribbon” banner featuring the logos of Asher Café’ and the Orthodox Jewish Chamber of Commerce was cut. This banner was highly symbolic, as it was designed and donated by a non-Jewish Philadelphia resident as a show of support, after he learned of the event through social media. High ranking LAPD captains were present and were thanked for their professionalism and dedication to the community. While addressing the audience, Duvi Honig pointed to the diverse employees at the café’, stressing how this type of business is very beneficial to the local neighborhood. Indeed, the Orthodox Jewish Chamber of Commerce has been working together with leaders and Chambers of Commerce of all ethnicities and stripes towards mutual success. Just a week prior to the café’ ribbon cutting ceremony, the Chamber co-hosted a business panel and networking event along with the African-American Chamber of Commerce in Philadelphia in honor of Lauren Simmons, the youngest female full timestockbroker on the New York Stock Exchange. The bottom line is the Chamber mission of networking and collaboration to empower all. It is healthy and advisable to business ventures to be undertaken by individuals of differing experiences and perspectives. 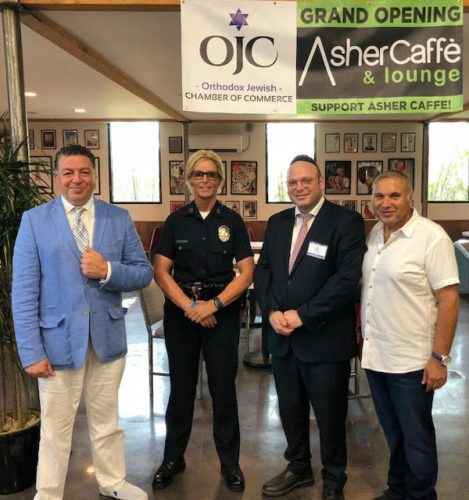 Mendy Mirocznik, a lifelong Democrat who serves as the Executive Vice President of the Rabbinical Alliance of America and as a member of the Orthodox Jewish Chamber of Commerce’s Executive Committee, issued an enthusiastic message of support for the Chamber event in Los Angeles. ” America as the land of opportunity must provide economic opportunity for all people,” he stated.